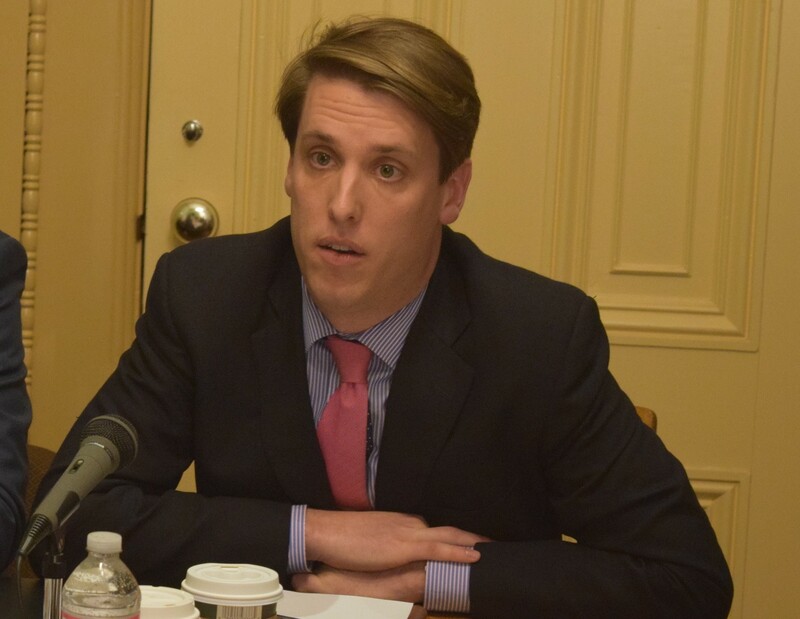 Garrett Graff, a Montpelier native who moved back to Vermont last fall after more than 11 years in Washington, D.C., has decided not to run for lieutenant governor, after all. Graff, 34, who now lives in Burlington, made the announcement on Facebook on Tuesday. “I am not going to run for elected office this year,” Graff said in the post. He did not return a call seeking comment. Questions about Graff’s eligibility to run caused uncertainty about his potential candidacy from the start. Those unanticipated concerns ultimately prompted his decision not to run, he said. The Vermont Constitution stipulates that a lieutenant governor has to have lived in the state for at least four years preceding election. Graff argued that he remained a Vermont resident even as he lived in Washington because he always intended to return, retained his Vermont driver’s license and was still registered to vote here at his parents’ Montpelier address. His situation has prompted Sen. Jeanette White (D-Windham) to consider legislation clarifying what determines residency for a candidate to be eligible. If he had been legally cleared to run, Graff would probably have continued to face questions from Vermont voters. Montpelier city records indicate he hasn’t voted in Vermont since 2010, skipping two gubernatorial and one presidential election.